Upon request, FairSearch Japan provides general corporate information and brief financial information on the company that you are looking for in our standard format. 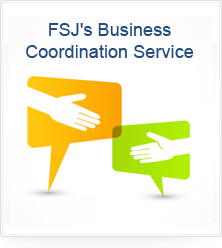 If you seek information on a particular topic or an issue for a certain company, take advantage of this service. FairSearch Japan also provides expert insights on credit risk, by assessing business performance, profitability, cash flow, ability to service debt, etc. based on financial and non-financial information. You may be interested in the status of the industry directly or indirectly affecting your business or customers, or you may seek some statistical data. If so, take advantage of this service. Japan’ｓworking-age population faces a sharp decline. Japan’s city gas retail market is liberalized. Official land prices as of January 1st 2017 rise. Impairment loss of five trading companies amounts to JPY 1.23 trillion. Official land price records a marginal rise first time in eight years. Some electronic part manufacturers have a hard time. Profit margin of listed companies seen hitting record.